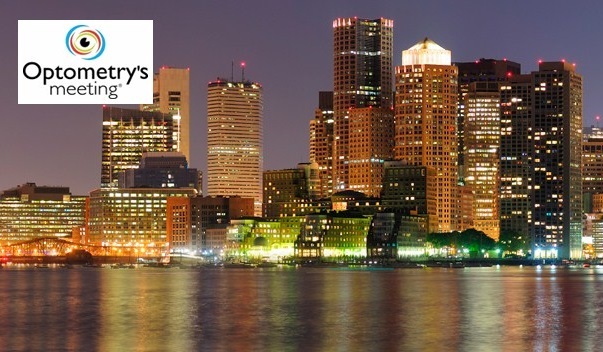 Optometry’s Meeting, held in Boston, Massachusetts from June 29th to July 2nd, was an extremely positive event for ABO. To begin the week, Dr. James Vaught, ABO Interim Executive Director, met separately with both ARBO and ASCO to present an update on board certification. After our July examination is complete, approximately twenty percent of ASCO full-time faculty will be ABO Diplomates. Dr. Vaught along with our board chair, Dr. Barbara Reiss, also met with the AOA board to provide a progress report on ABO activities and Dr. Reiss presented a detailed update to the AOA House of Delegates. When asked for a show of hands in the HOD audience, over half of those in attendance indicated they were ABO Diplomates. On Thursday evening, ABO held a Diplomate and Candidate reception immediately following the exhibit hall opening. The event was held at the Renaissance Boston Waterfront and was attended by over 40 guests, including several of our state ambassadors. When the exhibit hall opened again the following morning, our booth was filled with traffic until the exhibit hall closed on Saturday afternoon. The ABO booth participated in SightQuest, a game in which students and paraoptometrics visited participating booths to find out more about their product or service to gain points towards prizes drawn at the end of the contest. Many students and residents were not sure of the difference between board certification with ABO and initial certification for licensing. After speaking with booth staff, they are now well versed in ABO board certification and the many benefits. Diplomates love our SAMs! Many told us they completed more than the required one module per year, simply because they enjoyed them. We are working hard to develop new SAMs and should be launching several more before the end of the summer. “How do I pay my MOC fee?” Easy – go online and login to your Learning Plan page. Scroll to the bottom and you will see an orange “pay fees” button. You can also call us and pay over the phone or mail a check to: American Board of Optometry, 243 N Lindbergh Blvd, St. Louis, MO 63141. Many residents were not aware that if they take the exam within 3 years of completing their residency, they automatically meet the post-graduate requirement of 150 points to sit for the exam. The sooner the better! Diplomates are encouraging each other. Once one OD in a practice becomes board certified, the other ODs in the practice are more likely to pursue board certification as well. Live webinars count for Category 1 CE. And yes, all of your 100 CE points required for MOC can come from Category 1. Category 2 CE is a great option, but if you prefer taking all Category 1, that’s fine with us! “How do I get more involved with ABO?” Just give us a call. We have plenty of volunteer opportunities, including state ambassadors, committee members, item writers, SAM writers and many others. We would love to have your help!